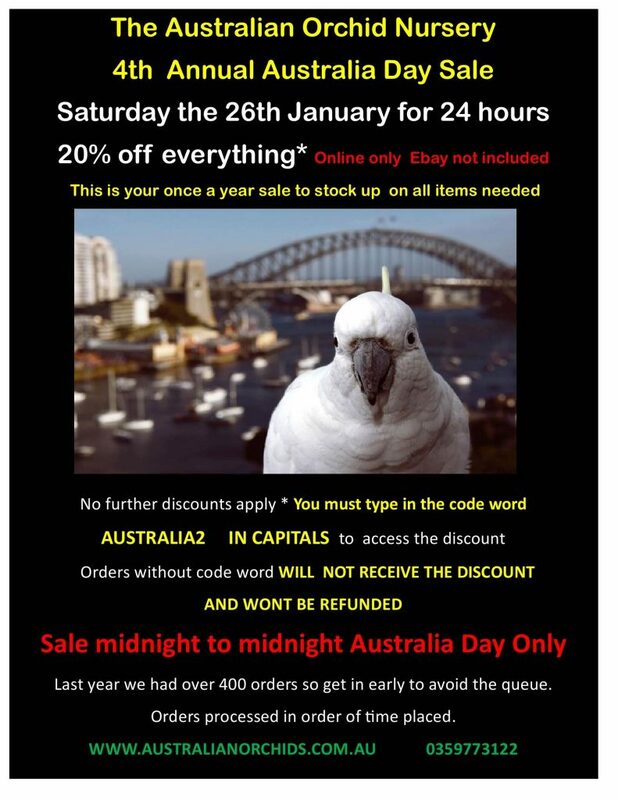 AUSTRALIA DAY SALE!!!! – Australasian Native Orchid Society Inc.
Home › Uncategorized › AUSTRALIA DAY SALE!!! !